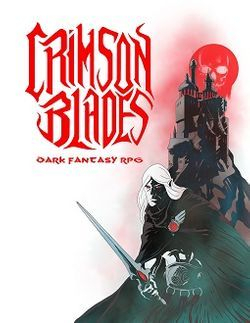 With a familiar yet different set of rules, Crimson Blades gives you fantastic old school-style dark fantasy/sword & sorcery role-playing. You can be a brooding sorcerer with a demon blade, a savage barbarian with an equally savage panther companion, a grim tomb-robber seeking the riches of a long-dead empire or even a Dendrelyssi - one of the last members of a decadent race of necromancers looking for redemption in the lands they once ruled. Included in the game are seven human character classes: Barbarian, Fighter, Griot, Mountebank, Sorcerer, Thief and Wayfarer plus the inhuman Dendrelyssi. 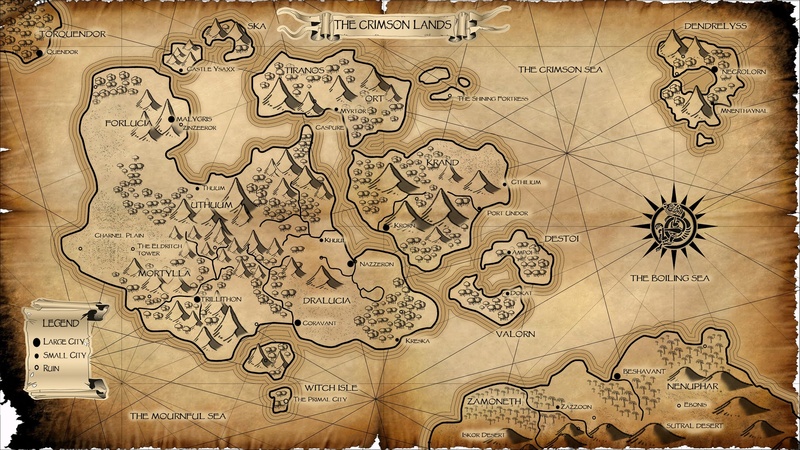 There are also four NPC classes: Fleshcrafter, Merchant, Royal Redeemer and Witch. The book includes the traditional rules for spell-casting as well as rules for summoning and binding demons, elementals and undead. Included in the book is a brief setting "The Crimson Lands" for you to use as the basis for your own campaign. GREAT NEWS! 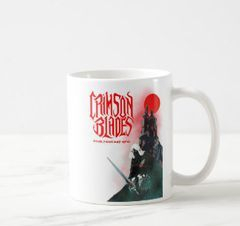 There's now a D20 Edition of Crimson Blades - it comes free with the standard edition of Crimson Blades 2 from RPGNow and can be purchased in hard or softcover from LULU. 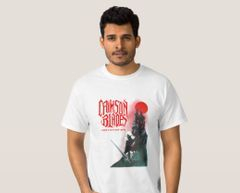 Crimson Blades T Shirts now available. Click the image below to be taken to the Beyond Belief Games Store.